On this cd in total 116 maps from the 16th century. 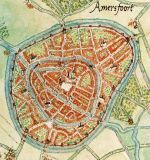 On this cd 128 maps from the 16th century. On this cd 170 maps from the 16th century. On this dvd in total 220 maps from the 16th century.